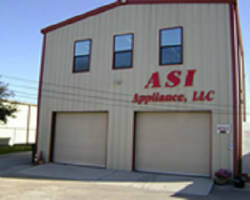 ASI Appliance is a company made up of professional repair technicians who specialize in servicing and repairing units like ovens, washing machines, dryers, and refrigerators. These experts strive to provide the very best quality services for their customers and use their expertise with appliances to ensure they are fixed for a long time. Since 2001, this company has been repairing all of the household items that simply need a specialist to the total satisfaction of their clients in Houston and the whole of Texas. Appliance repair in Houston, TX is not something that should be taken lightly. Whether it is your dryer, oven, dishwasher, etc. 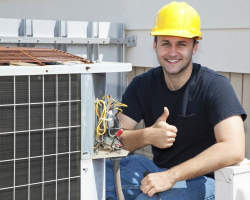 you need someone who is going to come in a fix your unit and ensure that the fix will be long lasting. 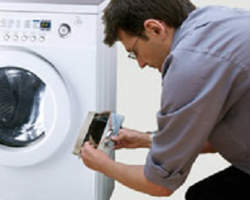 Appliance Repair Services has experience working with all kinds of machines of every make and model. They have worked on machines from both major and minor brands so you know they have the experience to fix your unit. 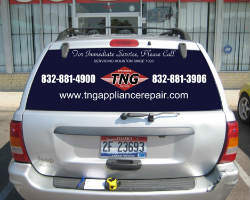 TNG Appliance repair is one of the local refrigerator repair companies that are also a complete Houston appliance repair service. This company is licensed and registered as well as insured so you know they are completely professional. In addition, all of their parts and labor come with a 1 year warranty so you know the work of the technicians will last, otherwise they will come and fix the appliance again for free. Whether it is your dryer or dishwasher, the technicians at this company can fix it all. 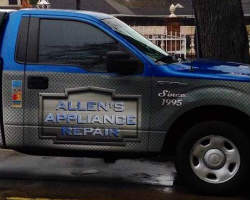 Since 1995, Allen’s Appliance has been repairing everything from ovens to ice makers and water heaters and everything else you can think of. When you see the list of services this company offers and the list of appliances they have worked with you will not only be impressed but will see many of your home appliances that need fixing on the list. Reviews of this company rave about the customer service provided by the technicians. The prices are incredibly affordable considering the experience of this company. Houston appliance repair service does not come any more reliable than when you reserve the services of Airbourne Air Techs. There is nothing worse than calling one of your local refrigerator repair companies that doesn’t have the experience you need to fix your unit to operate like new. Airbourne Air Techs is a local company but does in fact have extensive experience working on more than refrigerators; they can work on any of your appliances using their 30 years of expertise.